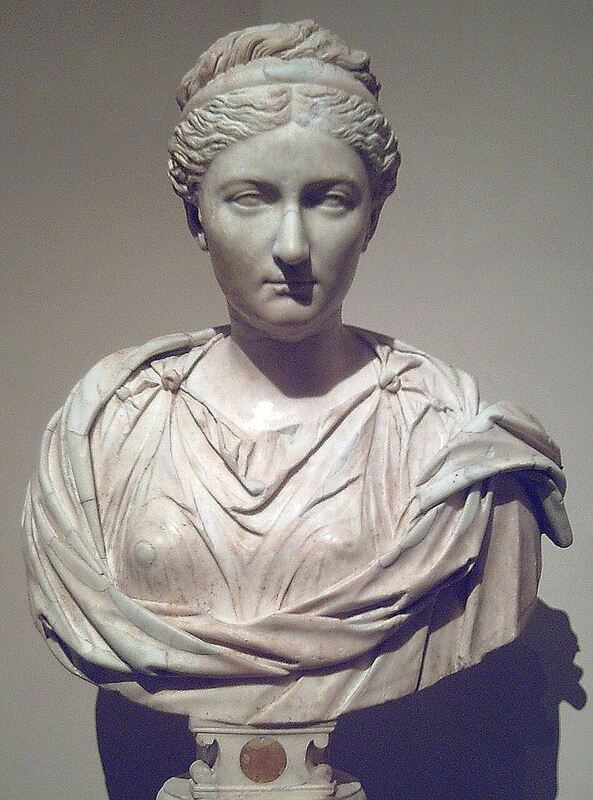 Vibia Sabina was a Roman Empress, wife and second cousin, once removed, to Roman Emperor Hadrian. In 128, she was awarded the title of Augusta. She married Hadrian in 100. She is rumored to have had an affair with Suetonius, a historian who was also Hadrian's secretary, in the year 119, which resulted in his dismissal as the Emperor's secretary. Meanwhile, her husband was thought to be more sexually interested in his favourite Antinous and other male lovers, and he and Sabina had no children. Vibia Sabina died before her husband, some time in 136 or early 137.